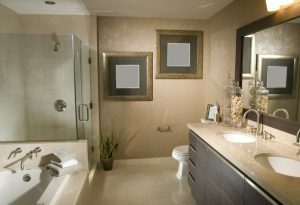 Bathroom Plumbing | Ken Neyer Plumbing, Inc. There are sounds you expect to hear from appliances and fixtures in your house, and you know how long these sounds should continue. For example, after a toilet is flushed, you should hear the sound of running water for about a minute afterwards. This is water coming from the feed line to fill up the tank to a set level, ready to rush down into the bowl for the next flush. But if the sound of running water continues for more than a minute after the flush, there’s something wrong. Often, all it takes to correct the problem is to jiggle the handle or flush the toilet a second time. If the issue persists, there’s something wrong in the tank or elsewhere in this vital fixture that will need to be repaired. For your bathroom plumbing in Cincinnati, OH and the surrounding areas, we’re the plumbers to contact for the job. We have 24-hour emergency service available—and trouble with a toilet often counts as an emergency! 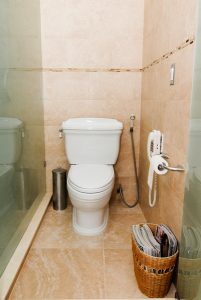 The toilet is one of the major essentials in a home’s plumbing—a “can’t live without it” appliance. It also accounts for around 40% of the fresh water used inside a house. You simply can’t afford to have a clogged, leaking, or non-functional bathroom toilet. Although you can fix some basic problems on your own (like using a plunger for a simple clog), many of the common troubles that toilets encounter require the help of professional plumbers who offer bathroom plumbing services. Below are a few of the problems you may notice with your toilet. Don’t ignore them, since they could soon lead to worse issues, such as leaking that can create damage to the floors. Water damage is expensive to remediate! There are many essential plumbing components in a home: shower heads, sink faucets, garbage disposals, water heaters. But few are more important for simply getting through the day than a working bathroom toilet. Any time your toilet starts to leak, overflow, run continuously, or clog, don’t hesitate to call on a professional plumber to fix it.